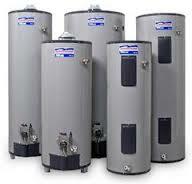 All water heaters are designed with an inner tank, insulation in the middle and a painted outer shell. Believe it or not, rust can eat through layers of these metal linings easily without the right maintenance. In case you find holes at the bottom of your tank, then it just may be too late to perform a water heater leaking repair. At times like this, consulting a specialist is a good way to start. Leaking can decrease your water heater’s efficiency, resulting in your energy bill to soar. Keep this from happening by stopping the leaks beforehand. You should check different areas where leaks can occur. Performing necessary maintenance also helps in extending your unit’s lifespan. If you keep on getting cold-water leaks, you probably have a faulty intake. This is very simple to repair since you can just get it replaced. On the other hand, hot-water leaks may indicate a serious water heater problem. You may want to get a new unit since your old heater has already rusted away.Tighten your drain valve. Having a loose drain valve can easily cause your water to leak. It is essential to deal this matter right away to avoid further damage. Leaks will be obvious if you see drips of water around it. Stop your water heater from leaking by tightening the drain valve using a wrench. Try not to over tighten the valve as this can damage your unit. If the leak persists, you may want to get help from a specialist. Releasing Pressure from the tank. To ensure your safety, shut your gas or power supply down before releasing pressure. Water supply should also be turned off to prevent water from entering your tank. You can now release pressure from the tank by opening the drain valve for a few seconds. You should hear the sound of water entering the pipes. Close the drain valve after feeling the pressure and turn your water inlet on. See if the drain valve is still leaking. If releasing pressure isn’t enough, look at replacing your drain valve immediately. To do this, simply drain your water tank by attaching a hose to the drain valve. Open the valve until no water is left. Attach the new drain valve to stop your water heater from leaking. Use a Teflon tape and tighten it well. By this time, water leaks should have stopped. If the leak continues, your tank may have rusted completely. Unfortunately, this requires a water heater replacement. When things get worse, always leave it in the hands of a water heater specialist. This is to ensure no accidents will happen while performing water heater repairs. Paying a small price to avoid getting into a dangerous situation is totally worth your family’s safety. 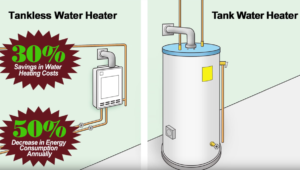 Call in an expert immediately to get your water heater tank running at its best.